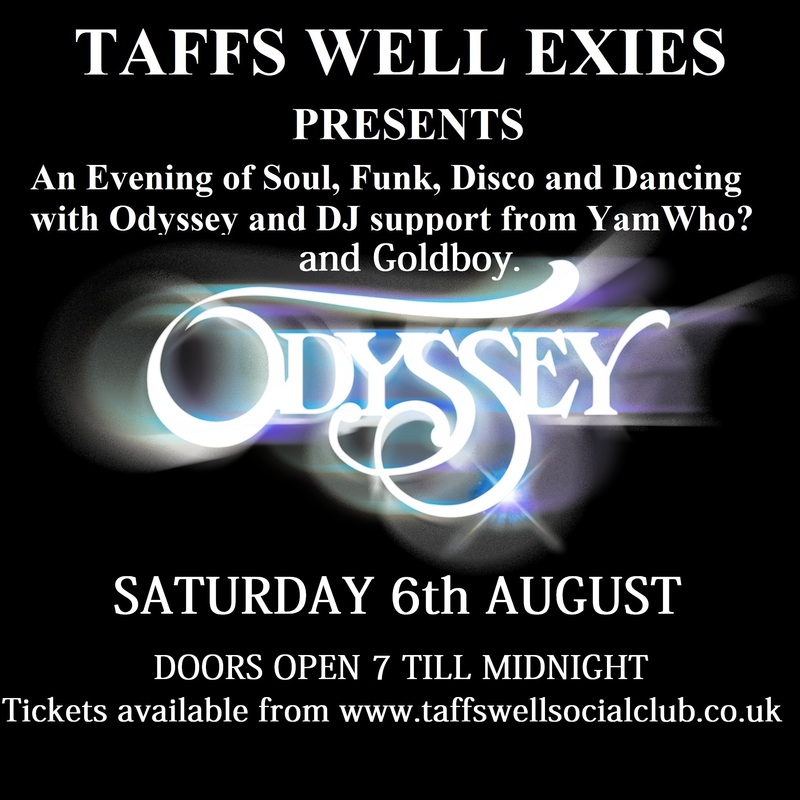 An Evening of Soul, Funk, Disco and Dancing with Odyssey and DJ support from YamWho? From their debut album emerged their first smash single – “Native New Yorker”, an international hit late in 1977. Additionally, Lillian’s eldest son, Steven Collazo had become part of Odyssey behind the scenes, recording as a background vocalist, journeyman session musician and musical director for their live performances and tours. A couple of years later, the group cut their “Hang Together” album. It contained Use It Up and Wear It Out, while the flipside, “Don’t Tell Me, Tell Her” received major airplay on US Black Radio. In the UK, Use It Up shot to the top ten, followed by “If You’re Looking For A Way Out”, “Inside Out”, and the Lamont Dozier classic “Going Back To My Roots”, among others. The founder and first voice of Odyssey, Lillian Lopez-Collazo Jackson, died of cancer on September 4th, 2012. Louise Lopez, Odyssey’s co-founder, passed away in January 2015. Other former members Billy McEachern, Al Jackson, Anne and Annis Peters, have either retired or acquired new interests and directions. Tony Reynolds, the first to join the Lopez Sisters and help form Odyssey died on February 2nd, 2010. Steven Collazo continues his mother’s legacy, taking the “odyssey” forward and further with an array of talented singers, musicians, DJ remixers and producers. Sharing the stage with Steven are: Romina Johnson, who’s known her own success with producer Artful Dodger on the hit single “Movin Too Fast” amongst other club classics, and Jerdene Wilson, an international entertainer and song stylist. Currently, Mr Collazo has teamed up with co-producer Andy Williams of YamWho? and ISM records. YamWho’s? impressively extensive track record of re-mixes and old school live recording with modern treatment, have introduced Odyssey to a whole new generation of enthusiasts who grew up with their music while the production team remains faithful to the group’s more mature, core audience. “Old School meets new school meets old school” has become the group’s mantra. New material written by the group, as well as re-workings of Odyssey’s classic hit songs are set for release throughout 2016 and beyond.